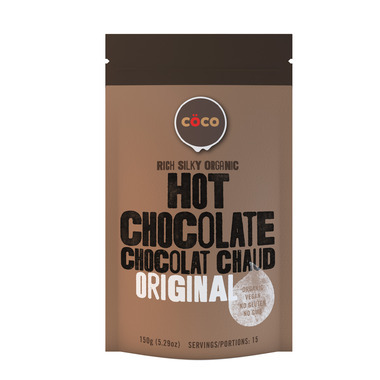 COCO Organic Hot Chocolate is all-natural, organic powdered hot chocolate ready for your customers to enjoy. Add approx. 1 Tbsp to 250ml of hot milk or milk alternative, stir and enjoy. Organic cane sugar, organic cocoa, organic raw cacao, organic tapioca starch, organic himalayan salt.